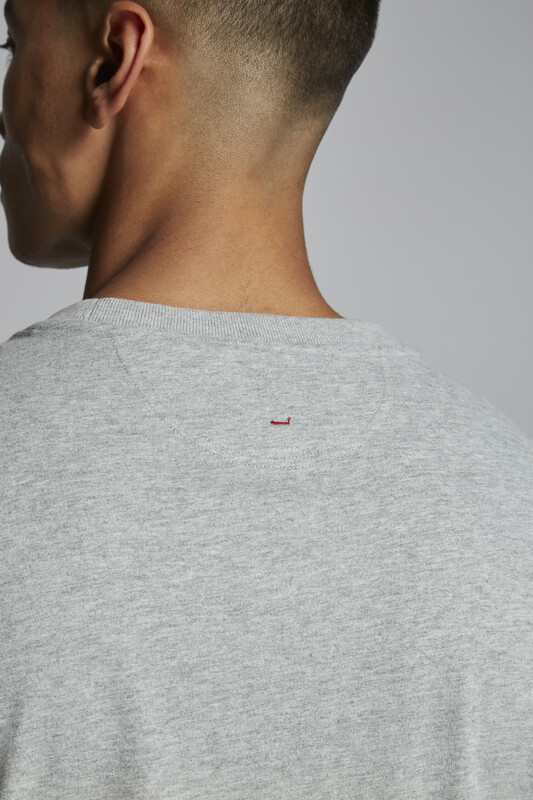 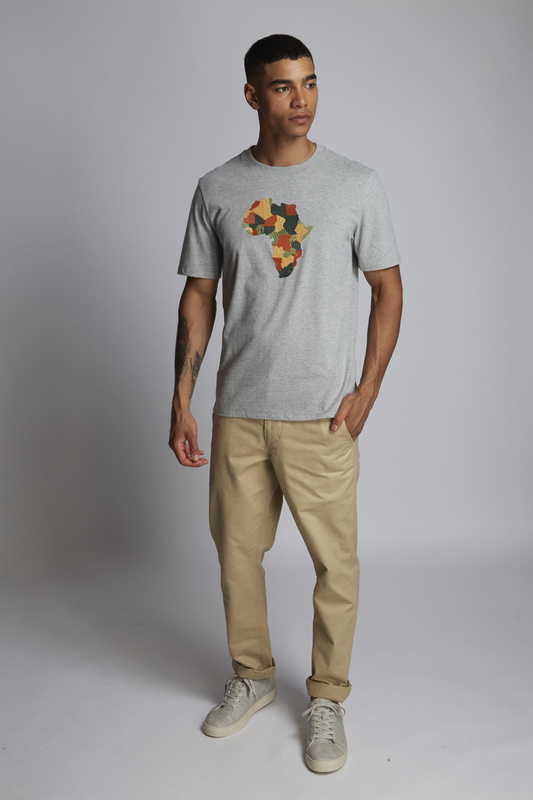 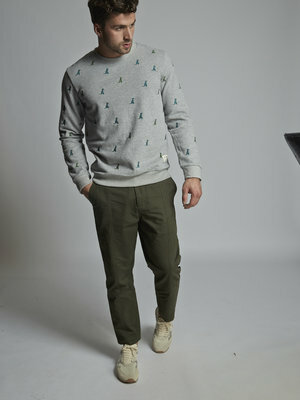 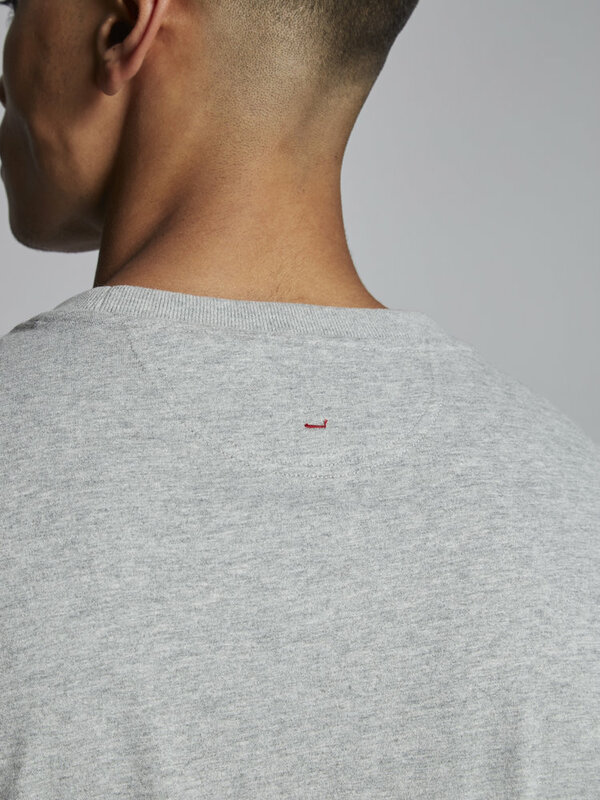 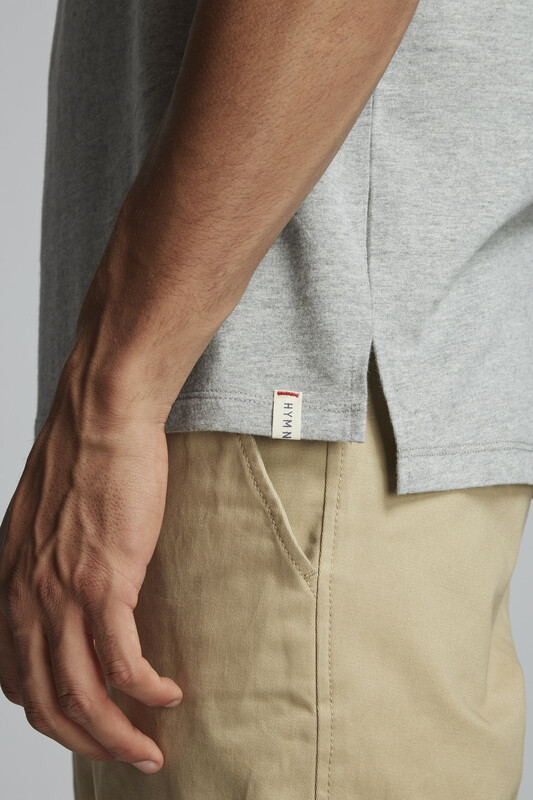 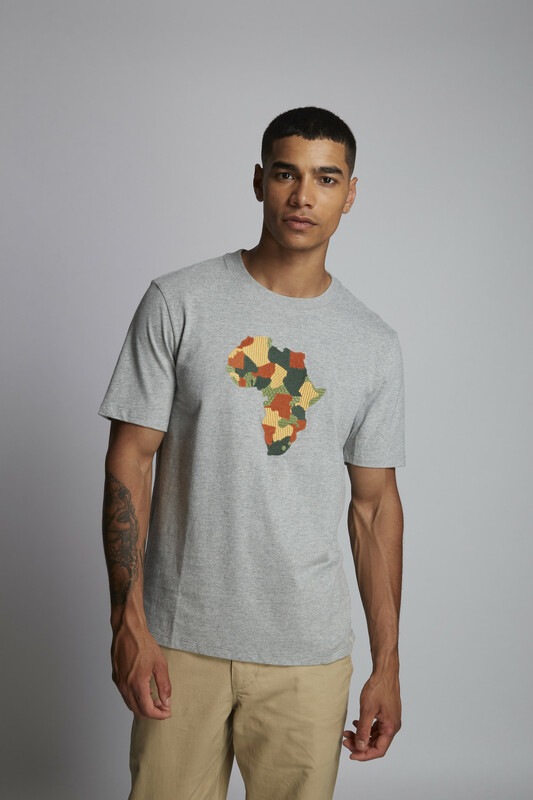 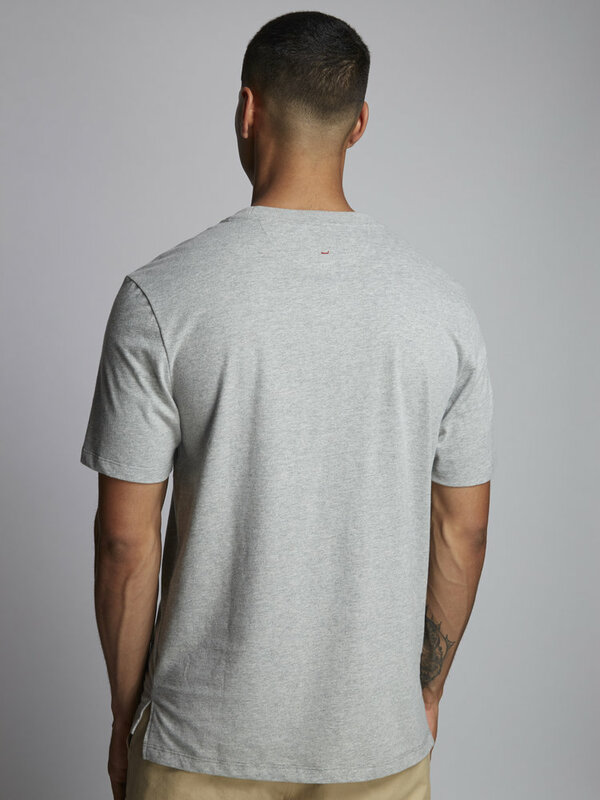 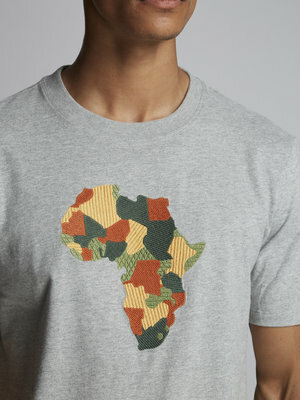 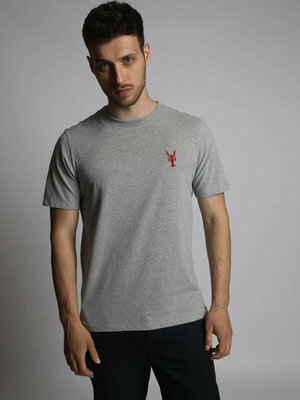 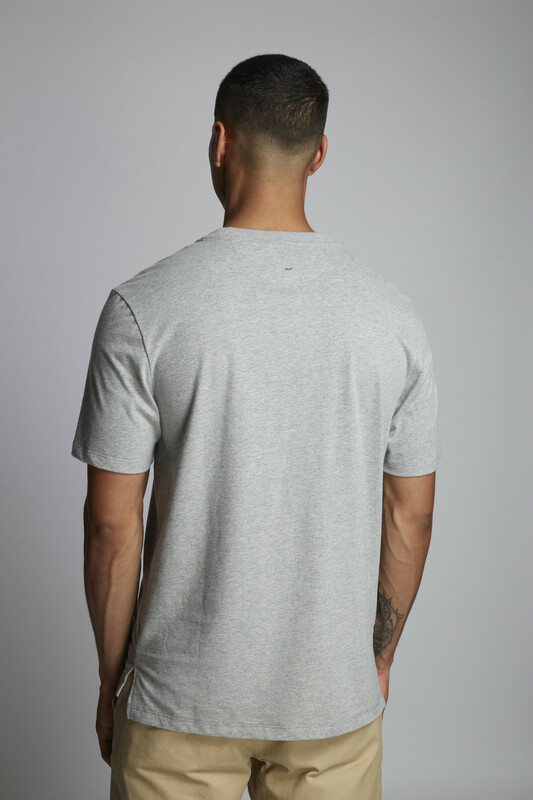 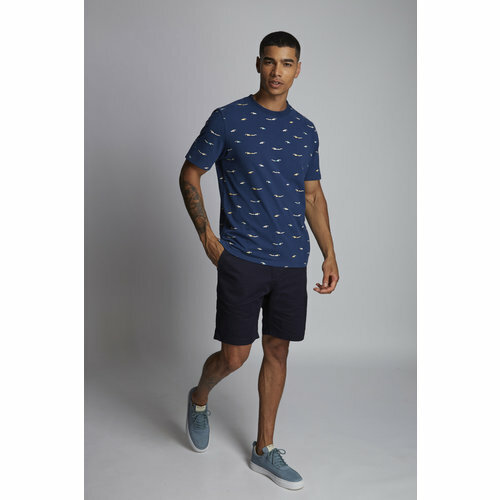 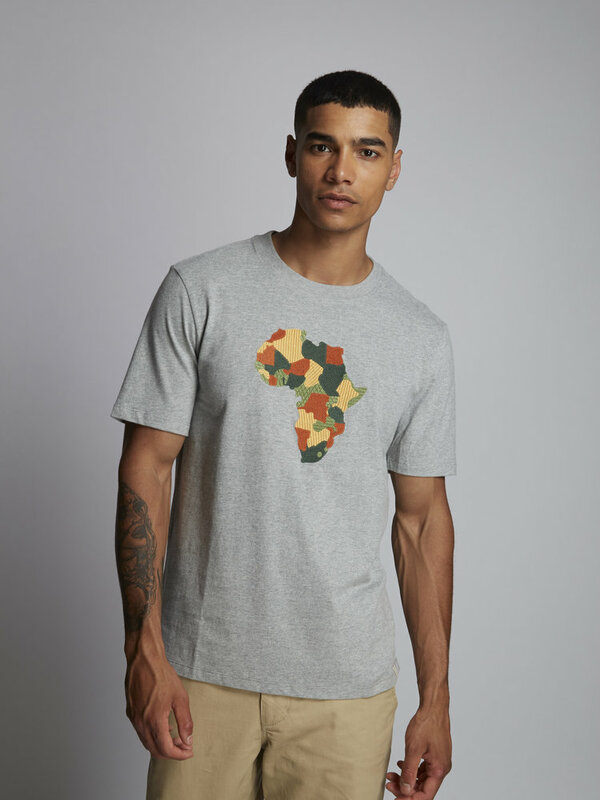 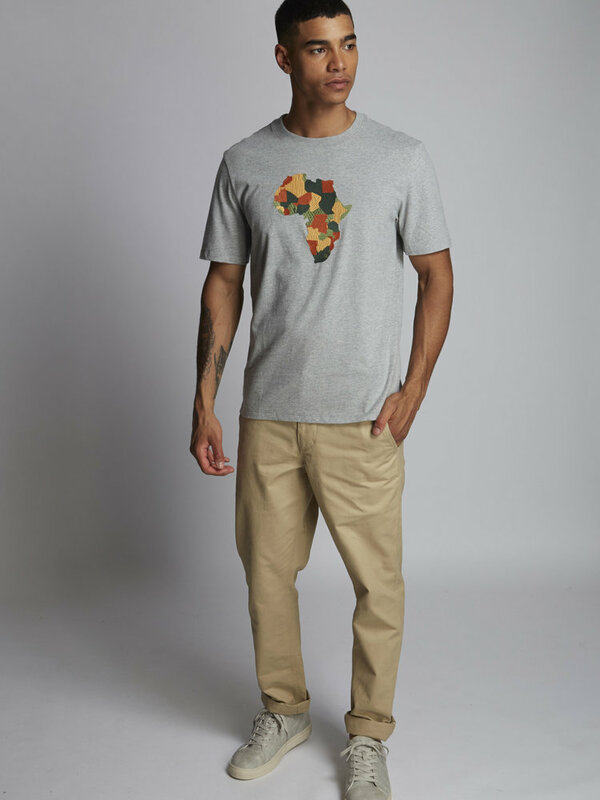 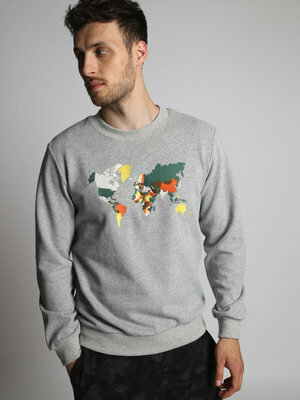 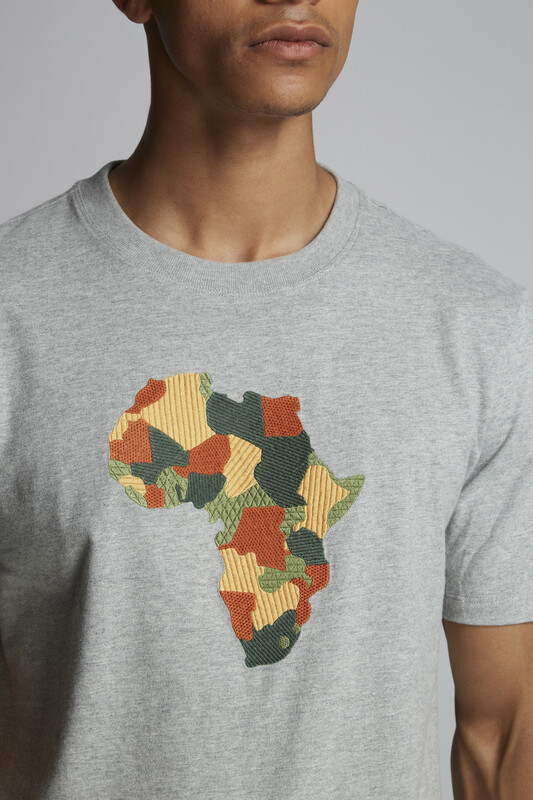 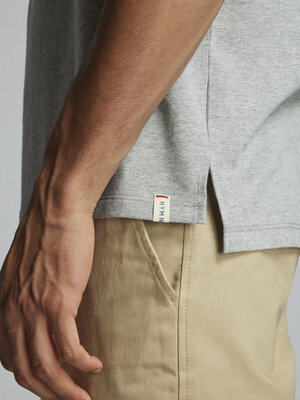 'Africa' is an grey marl cotton t-shirt with chest embroidered continent. 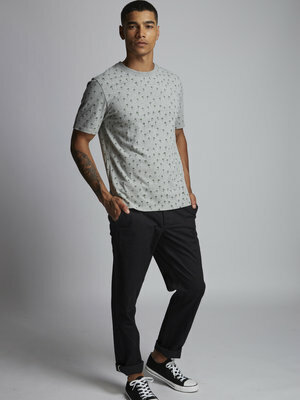 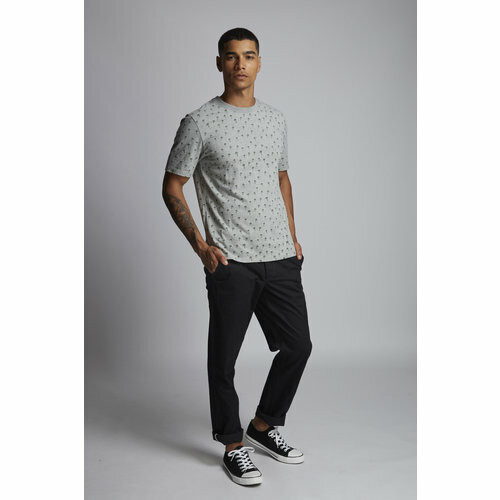 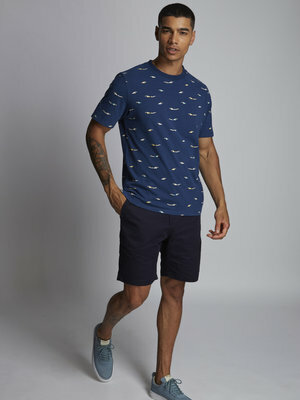 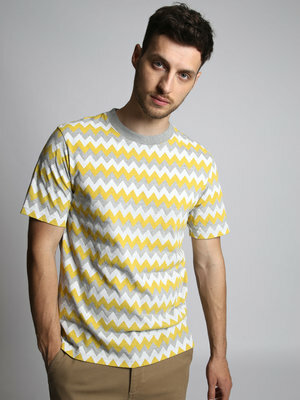 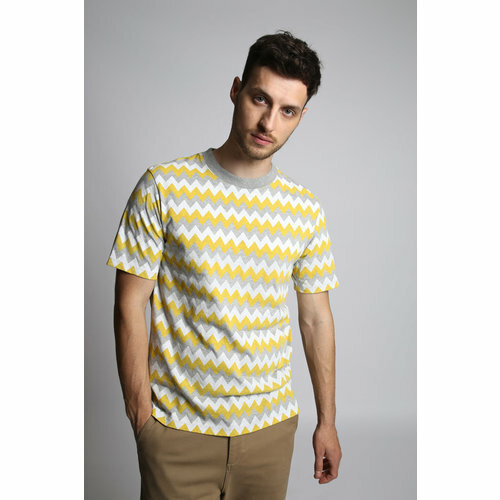 'DUNES' is an grey marl cotton t-shirt with an all over zig zag print. 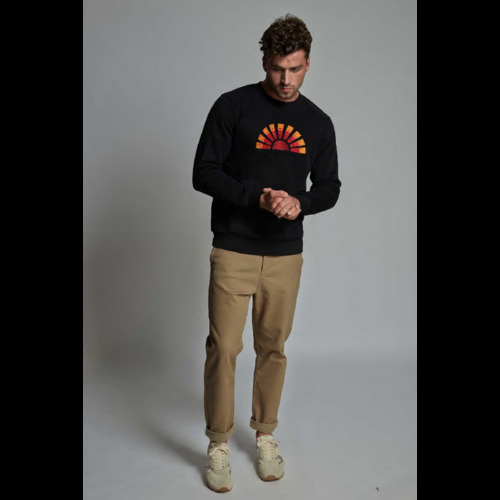 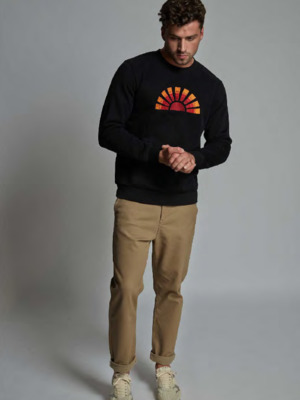 'SUN' is an black cotton embroidered sweatshirt.